"ME. I AM MARIAH... THE ELUSIVE CHANTEUSE"
HER 15th TOP 5 ALBUM! (June 4, 2014 - New York, NY) - ME. I AM MARIAH... THE ELUSIVE CHANTEUSE, released May 27th on Def Jam Recordings, the brand new album by multi-platinum global super­star Mariah Carey, is greeted with critically overwhelming raves across the board, and soars to #1 on the iTunes pop chart in 33 countries including the U.S. The new album also debuted at #1 on the Soundscan R&B Albums chart, which marks her 15th Top 5 album. In support of the album, Mariah sat down with NBC's Matt Lauer for a one-time only exclusive rare and personal prime time interview in her home last week which won the network and demographic timeslot. Mariah Carey: At Home In Concert With Matt Lauer aired release week (Saturday May 31st). As a compassionate philanthropist, Mariah was honored last week and received the Hero Award from The Fresh Air Fund for her work as founder of Camp Mariah, a retreat for inner city children to explore career development. The benefit raised over $1.5 million dollars for The Fresh Air Fund. As executive producer of ME. I AM MARIAH... 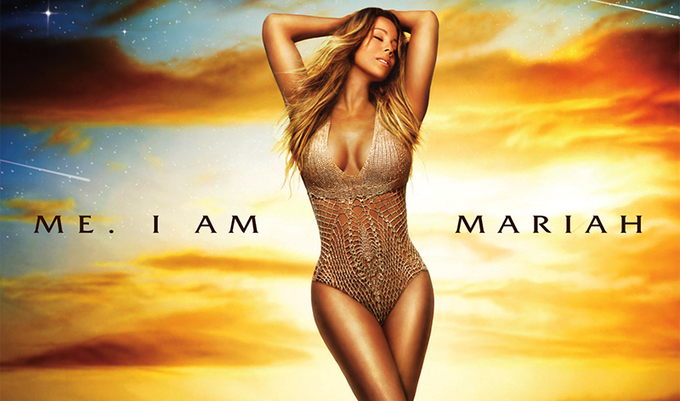 THE ELUSIVE CHANTEUSE, nearly every track on the album (with the exception of a cover of George Michael's #1 classic "One More Try" and the uplifting, inspirational, and emotionally charged album closer, her tribute to the late Reverend James Cleveland, "Heavenly (No Ways Tired/Can't Give Up Now)") was written and produced by Mariah. Two different exclusive album configura­tions with distinctive artwork are available, the Standard Edition (15 tracks) and the Deluxe Edition (18 tracks). This marks Mariah's first new album release since her worldwide best-selling Memoirs Of An Imperfect Angel in 2009. Steve Bartels, CEO of Def Jam Recordings, says "It is wonderful to see Mariah, the iconic artist, stay true to herself and deliver a carefully crafted body of work that will once again showcase her mass appeal across an enduring legion of worldwide fans."